Forty-five years ago today, Apollo 11 launched from Kennedy Space Center on humanity's first crewed mission to the surface of the moon. 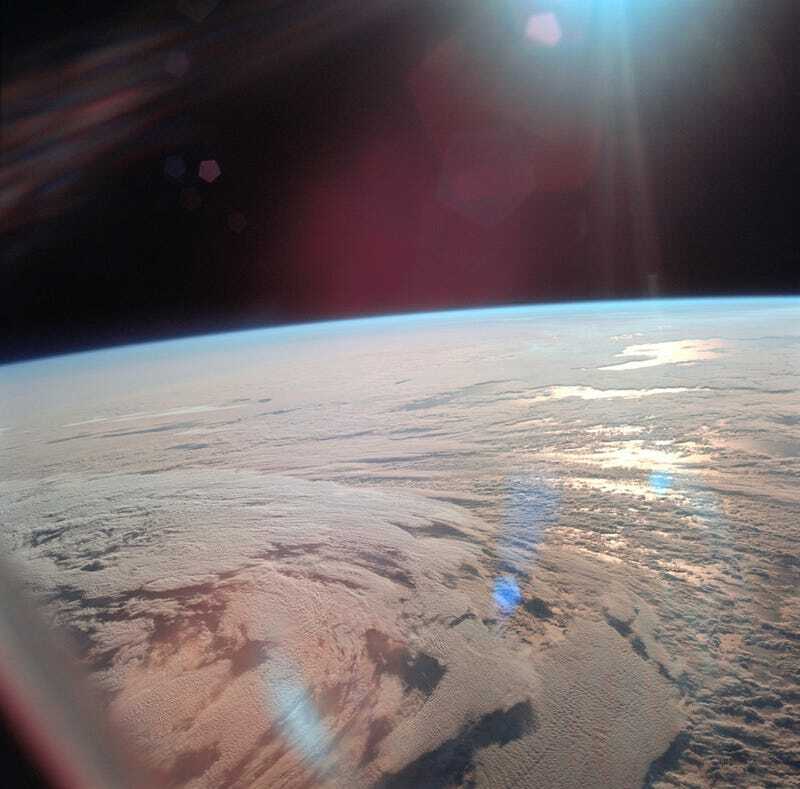 This view of Earth was captured from Apollo soon after translunar injection, just as the spacecraft was breaking away from our planet's orbit. This next decade of exploration will be an exciting time of rapid technological development and testing. In December 2014, we'll conduct the first test flight of Orion. In 2015, the New Horizons mission will fly by Pluto and see the icy world up close for the first time. 2016 will see launches of two other Mars missions, InSight and the European Space Agency's ExoMars Trace Gas Orbiter, as well as asteroid sample return mission OSIRIS-REx. By the end of 2017, U.S. commercial companies will begin launching astronauts from U.S. soil to the space station. In Fiscal Year 2018, we'll fly SLS and Orion together on a test mission to a stable orbit around the moon called a "Distant Retrograde Orbit" (DRO), where astronauts will explore a relocated asteroid in the 2020s. In 2018, Hubble's successor, the James Webb Space Telescope, will extend our senses farther into space and time, to see light from the universe's first stars. In about 2019, we'll launch the robotic spacecraft to capture and redirect an asteroid. In 2020, we'll send a new rover to Mars, to follow in the footsteps of Curiosity, search for evidence of life, and pave the way for future human explorers. In 2021, SLS and Orion will launch humans on the first crewed mission of the combined system. In the mid-2020s, astronauts will explore an asteroid redirected to DRO around the moon, and return home with samples that could hold clues to the origins of the solar system and life on Earth. In doing so, those astronauts will travel farther into the solar system than anyone has ever been.